The Convergent Design Apollo OLED Monitor/Recorder/Switcher is a 4-camera HD video switcher that records 4 video inputs and can show a quad split display. It sports dual SSD slots (SSDs not included) and 1/4"-20 mounting threads on 3 sides for ultimate versatility. The on-screen indicator shows you which camera input is active and the OLED touchscreen lets you easily access the menus for each of your feeds. It also has support for user-loadable custom 3D LUTs (up to 140). 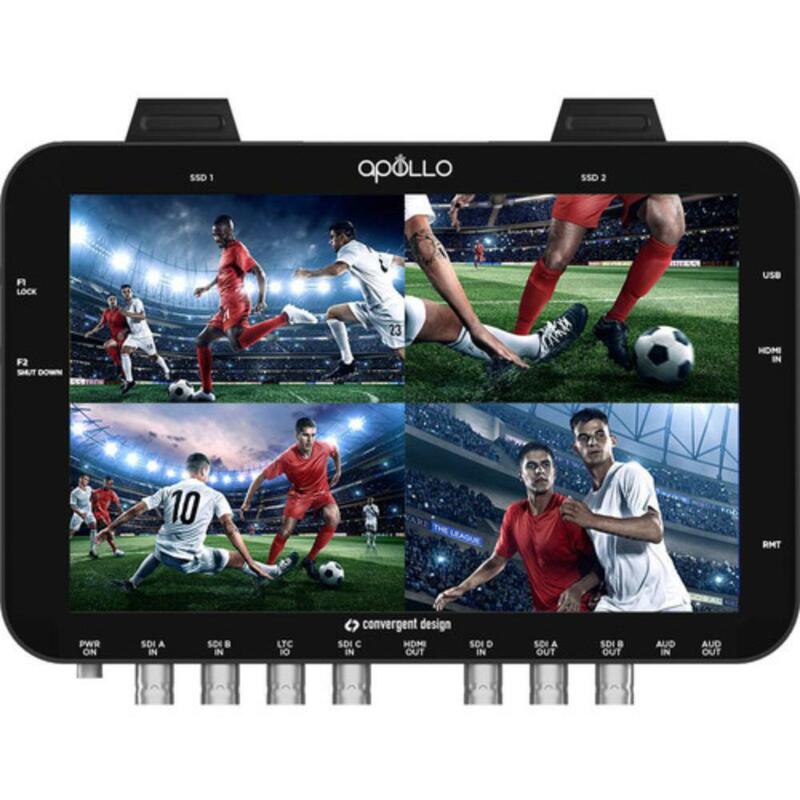 This complete 4-channel, portable multi-camera recorder/switcher is ideal for concerts, games, event shooting, and anyone who routinely does multi-camera shoots for reality TV or interviews. • Accepts Convergent Design 2.5" SSDs, which are not included. • When recording from multiple cameras, all the cameras must be outputting the same format and frame rate to the Apollo.